EVER wondered why that caramel sauce didn't turn out, or why that souffle didn't rise? 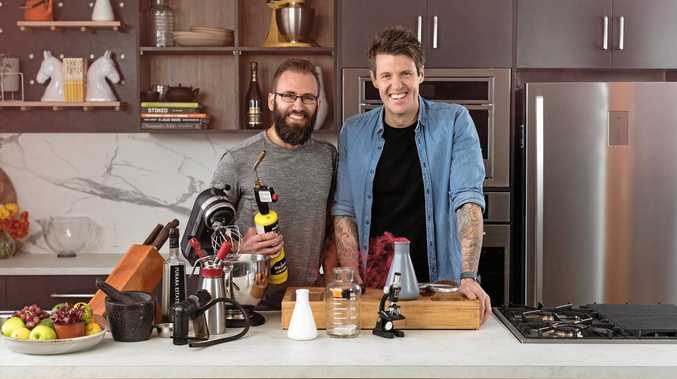 A Brisbane scientist is back to answer those questions and more in the new season of Food Lab by Ben Milbourne. 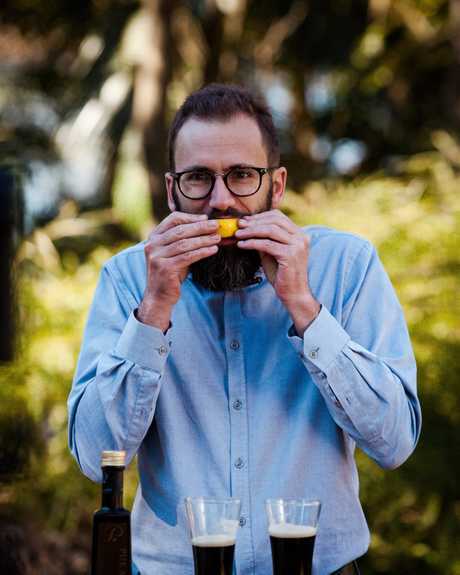 Science communicator and physicist Dr Joel Gilmore brings a methodical approach to the kitchen and takes on an expanded role as co-host alongside MasterChef alumni Milbourne. "There's a lot of academic research on food and science," he says. 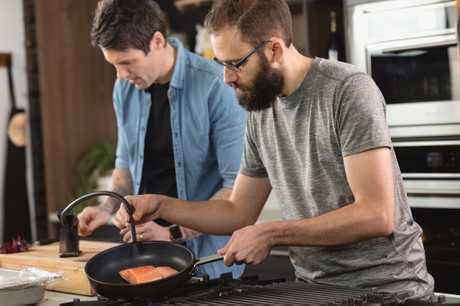 "Initially a lot of that research was about manufactured food or factories and processing, but more and more research is being done on restaurant kitchens and home kitchens. "Technology has improved and our knowledge has improved. A home chef can prepare, with very simple tools, a steak that is at least as good as you would buy in an expensive restaurant. "Even citizen scientists on the internet are coming up with interesting ideas and experiments." Dr Gilmore grew up with a love of food thanks to his mother but didn't spread his wings as a home cook until he was at university. "The only way to afford to study physics was to learn to cook yourself," he says. "When I was in uni and meant to be working on my PhD in quantum physics I became more and more interested in the why of cooking. "Why am I not meant to use a plastic bowl to use to beat my egg whites? Why am I meant to barely mix my muffins? All the recipe books I had there were just rules written down, so I started to learn about it and then do talks and demonstrations on it." "The idea of taking notes and experimenting and trying to change things, that's the essence of both science and good cooking." In Food Lab, Dr Gilmore engages with some of the country's top researchers from The University of Queensland and hosts cooking demonstrations from UQ's Gatton Campus. If you're not a big fan of vegetables, then he has some bad news for you. "Often people have questions about what is healthy eating and how many serves of vegetables should you really eat in a day. 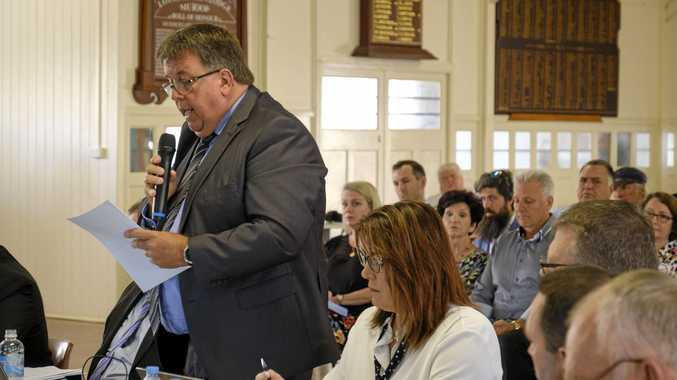 The answer is as many as you possibly can," he says. "Health research is very, very hard as every person and diet is different but it does seem to be the more serves of veg you eat the more it improves your lifespan. "So this season I tried to do a few more vegetarian and vegan recipes to show they can be tasty. "But don't worry I also share my recipe for my favourite pancakes." Season three of Food Lab by Ben Milbourne premieres on Monday at 5pm on SBS Food.